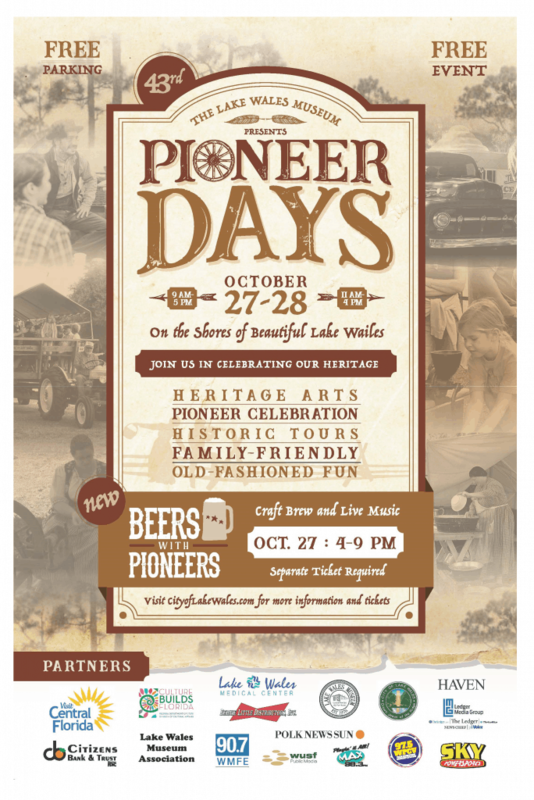 Join us for the Lake Wales Museum’s signature heritage event – a family-friendly, free community festival with live entertainment, food vendors, heritage & hand crafts, farmers market, petting zoo & animal rides, reenactments, historic architecture tours, Native American dances, antique cars, tractors and more! 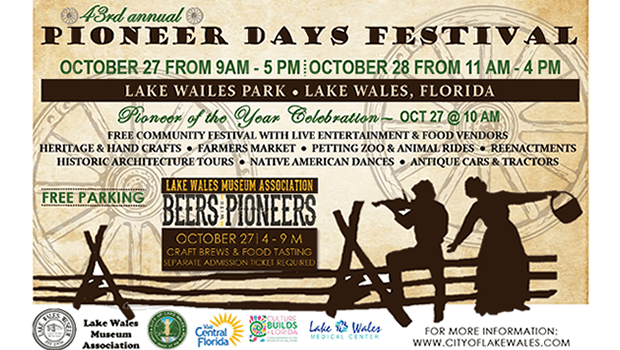 Pioneer of the Year Celebration is October 27 at 10 AM, which honors a long-time citizen who made a significant contribution to Lake Wales. Free to the public. Free parking.